Forgotten Password? | Not a member? SignUp! vehicle is parked or moving. tries to run away with your car. "I have a driver to drop and pick me at the office. During the day, the car is used by my wife and kids for activities. SafeKar device is discreet and their anytime anywhere access and non-intrusive alerts are very convenient"
Check current speed and vehicle movement at 10s frequency. Check stoppages and trips on Google Map. 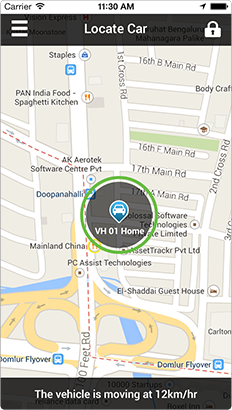 Mark your home, kids school on the map and get notified on your smartphone when your kids reach home/school. 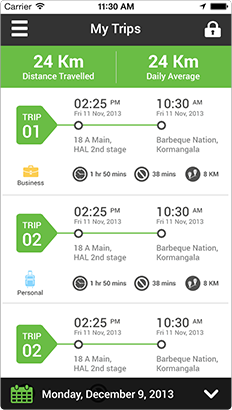 We provide you a quick summary of your daily car trips and stoppages on your email. After parking your vehicle at some unknown location, remember to enable Safe Mode and rest assured we will ensure your vehicle is safe. 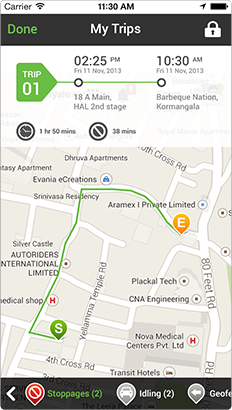 Get great insights about your car utilization, overspeeding violations and car expenses. 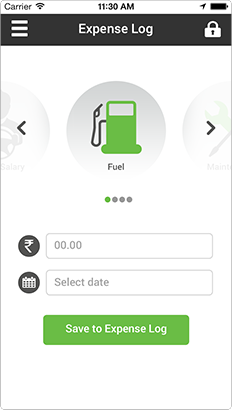 With rising fuel prices, we help you keep an eye on your fuel expenses. You can now track your car movements from your smartphone. Know where and how long your car has been parked since, or if your car is moving, check your car speed and location updated every 10 secs. 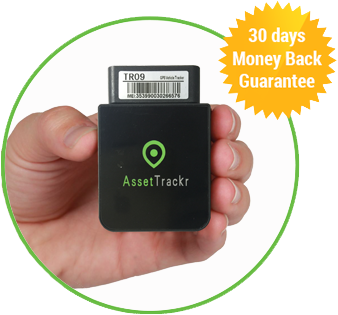 "We installed this GPS tracking device about 6mo ago mainly for the purpose of safety. Our children use the car, and we have a driver who takes them around....The device and software features are excellent. I find the summary emailed reports convenient"
"My car is very personal to me. SafeKar acts as a deterrent to misuse by drivers. I can track mileage and fuel consumption and I love the Maintenance reminders. Thanks to SafeKar's anytime, anywhere connectivity, my driver drives sensibly and handles my car responsibly."